Measures 25' X 17' X18' (l x w x h) fully inflated. Consists of a double slide and can be used wet or dry. Has 4 additional tie downs for added safety. Requires 7 stakes for securing the bounce house. 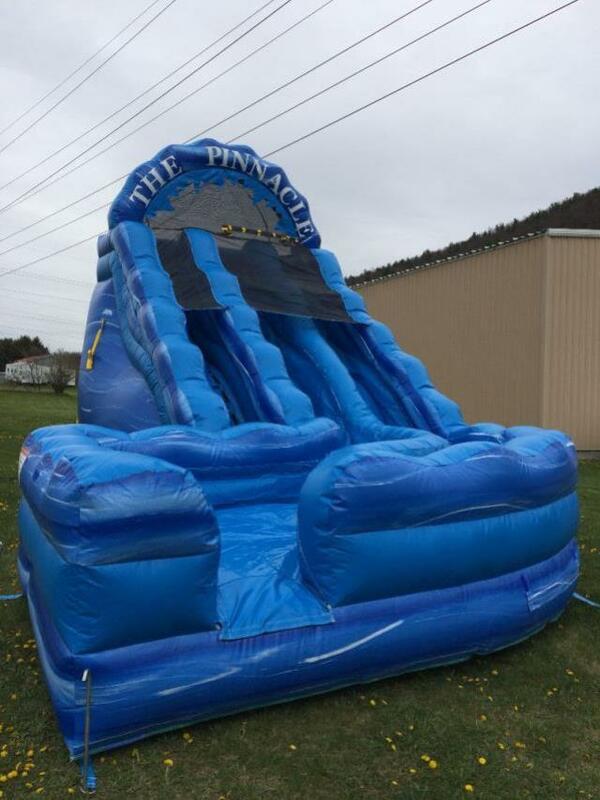 * Please call us with any questions about our pinnacle mountain bounce rentals in Corning and Bath, serving the Finger Lakes Region of New York.